Board meetings are held on the second Fridays of odd-numbered months and are open to the public. The Board will meet on Friday, March 8, 2019 at 9:00 a.m. at it's offices in the RSA Union Building at 100 North Union Street, Suite 880 in Montgomery. Meetings are open to the Public. 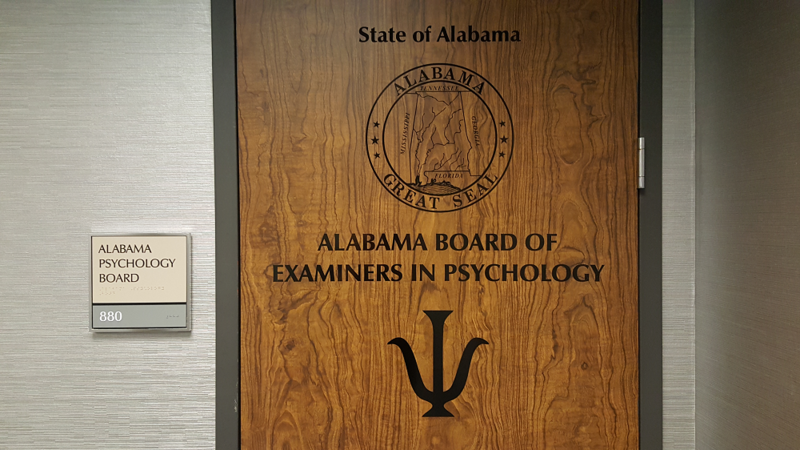 Welcome to the Alabama Board of Examiners in Psychology website. The Board meets on the second Friday of January, March, May, July, September, and November. Meetings are open to the Public and held at the Board's Administrative Offices in the RSA Union Building at 100 North Union, Suite 880, Montgomery, Alabama 36104. Notice of Meetings and Public Hearings are published in the Alabama Administrative Monthly and on the website of the Alabama Secretary of State at https://openmeetings.alabama.gov. Click here for Newsletters and other Notices. Click here for a list of items you may request from the Board and applicable fees. Click here to search for a licensed psychologist or psychological technician in Alabama.